This will almost certainly go down as the great flood of 2016. 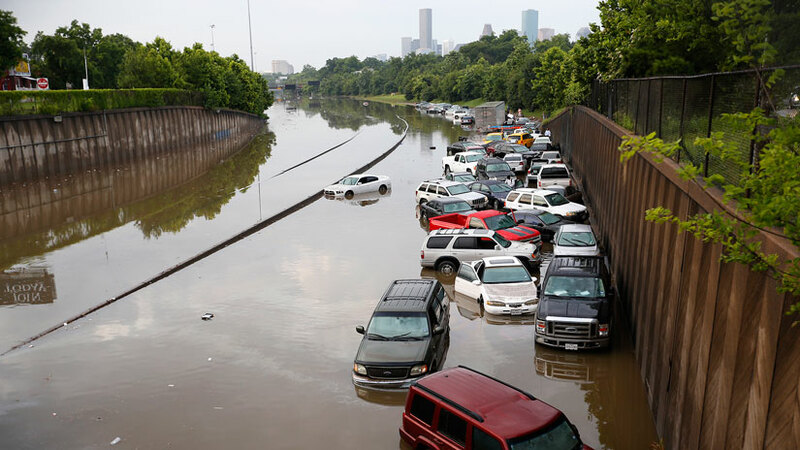 The water rose so fast that is swallowed vehicles whole and tossed them about like toys going down a bathtub drain. It looks like loss of life is minimal but the damage to property is extensive – especially in Katy and Cypress. This is a reminder of how life can change quickly without your control. Could you have bought a house somewhere else? Sure. Could you have stayed up late and moved all your belongings up off the ground? Maybe. Would your boss have understood if you didn’t come into work if it turned out not to be so bad? Probably. Here, we hope everyone remained safe and sound and we wish all the best. Thee will be thousands of families just hoping to put the shattered pieces of their lives back together over the next few weeks so lets all offer a prayer for those impacted by this event, and by those impacted by the bad job market in the oil industry, and all others in need. Pressure washing is such a small thing – as are so many others, when compared to shelter, safety, drinking water, dry clothing and stability for our children – hopefully this even will put things into perspective for everyone.